the Outer Church have been organising interesting looking nights around the Brighton area for a little while now. they have another coming up just before Xmas. 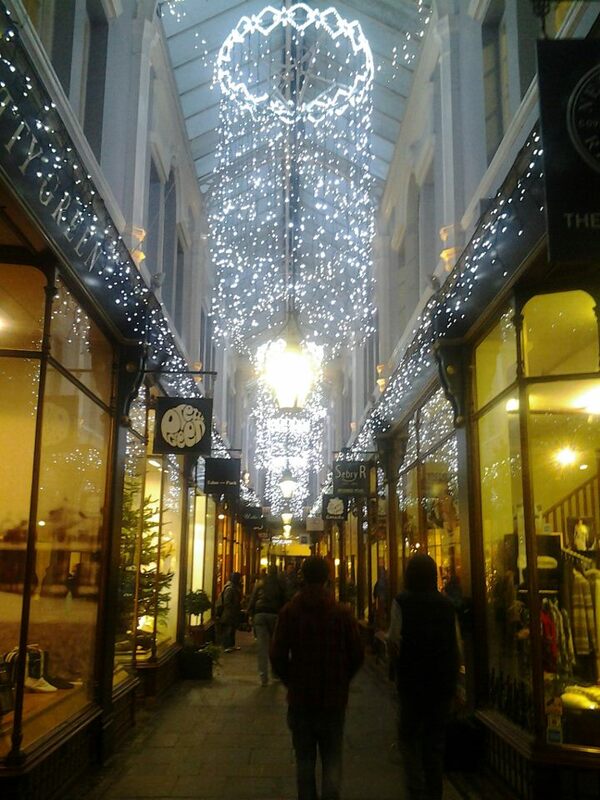 give yourself a festive night out where you (probably) won't have to hear 'I Wish it Could Be Christmas Everyday' - unless they're way more twisted than i realised. ...except I'm not. really not actually. i try and like it but i fail every time. it's not all folk music. truly it's just the British varieties. I'm not biased in this. i dislike all four countries worth equally. there are.bits and pieces here and there that i don't mind but on the whole it moves me not. 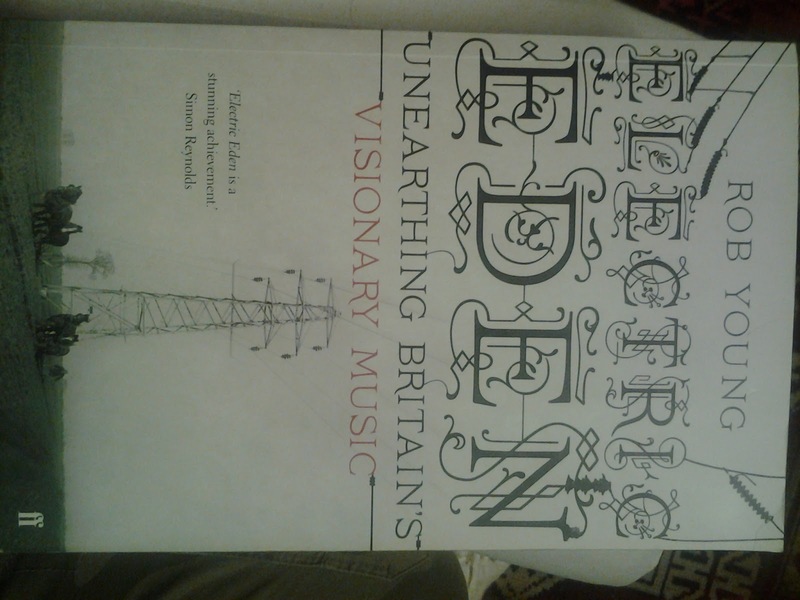 quite why then I'm working my way through the 600 pages of Electric Eden is confusing even to me. 273 pages in and i am enjoying it though. i was a Wire subscriber for about 11 years and so Rob Young's writing was something i knew well, the subject seemed interesting enough but that subtitle was the clincher. close enough to sounding like some sort of Coil type musical mysticism reference to haul me in. that axis of music are certainly going to make an appearance (current 93 mostly i suspect) but i am a long way off them at the moment. as i said I'm thoroughly enjoying it even though i keep trying out the different artists / songs he references and none have done it for me yet. 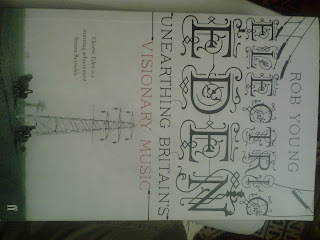 also, while it says 'Unearthing Britain's Visionary Music' it does so far seem more like an exploration of English music but i have 300 odd pages to go and this may well change. so, tonight some more reading and a little bit of reviewing. there's a Dog Hallucination EP playing in the background as i type this, after that it'll be the Sempervirent album on Gruenrekorder. it's a hard old life i tells ya. I was intending to get a new issue online this weekend but an opportunity has arisen to make a bit of extra cash before xmas so it's going to be online next weekend instead. I must admit it'll be nice to have some coins in my pocket. Been pottering all evening with the Wonderful Wooden Reasons website and we know have an alphabetised Movie Review section. Both that and the Books have been updated with new reviews. These rarely get included in the main WWR updates as they generally aren't contemporary so don't really fit. I've been so busy over the last two years that most of the books I read are graphic novels I grab from my local library that I can dip in and out of easily whilst working. A lot of these are both a few years old and not necessarily very good so I tend to leave them off the listings. The movie reviews are often just pithy little comments to sum up in as brief a way possible what I thought of what I just watched. I'm planning more additions to the zine over the next little while. Not sure what form these are going to take as yet - still plotting - but they are coming. I'm making some alterations to the old homestead and have linked the Quiet World blog (this one) to the Wonderful Wooden Reasons website. Firstly so that I can pass on any news about both the label and the zine in a timely manner and secondly I'll be able to announce each new issue here which means you folks can (should you wish) sign up for email notifications or one of the other options on the right there. In the meantime how about some free music. This is the Quiet World label sampler. It's free to download. hope you enjoy and please feel free to share it around. this weekend brought a rare opportunity to set up my synths and desk and spend some time making some noises. I'm hoping / intending to make a live appearance sometime in the new year and need all the practice i can get. I generally set up my recorder when I'm practicing so i can listen back later. This weekend didn't go as smoothly as i hoped it would but i got a couple of pieces i'm pretty happy with out of it. My favourite thing that happened was I managed to find (in a box in the back of a cupboard) my melody horn which paired up lovely with the new Music From Outer Space 'Wierd Sound Generator'. the horn is a bit quiet on the recording but you can hear the results on track 3 - 'Autumn's Crooked Casualties'. 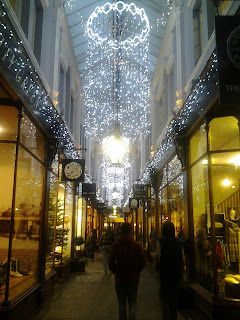 I don't use this blog anywhere near as much as i could / should. new album out now on Quiet World by the very wonderful Philip Corner. Philip was one of the originators of Fluxus in New York in the 1960s and he's still making obtuse and unusul music to this day. I was honoured to be asked to release something. ...is the name of the new download only album I've just put out. It's a phonography of the Pier in Mumbles, which is the next town along the coast from where I live. there's more info on it's release page on the QW site but here's the link to the album. Also there're two new albums out on Quiet World this week by Colin Andrew Sheffield & Syrinx. they're both rather lovely. it's bloody hot in Swansea at the moment. I have way too much surface area for this sort of weather. I had some spare time the other night and found myself making a mix of the recent releases on Quiet World. I'm very pleased with the way it's turned out and have made it available as a free download from my bandcamp site. just back from a short break to Glastonbury. Was far too tired to really enjoy myself, i lost count of the times I suddenly felt myself toppling over sideways, but it was nice to get away from the house especially as I forgot (genuinely forgot) to take my work file with me so couldn't do any essay work or marking. am back now and working on some reviews. just wrote one for a Christopher McFall album and currently listening to Simon Whetham's album on Unfathomless. Mostly though I've been restlessly pottering with stuff all evening. bout now though I'm very tired and I should probably go to bed. I really like Neil Stephenson's books but i knew i was never going to have the time to actually read his monstrous new one - Reamde - so i grabbed the audiobook. 150 15 minute chunks later it's finally finished. Did I enjoy it? In the end, probably yes. was it worth the time commitment? probably no. He's gone the john grisham route here with a story based around kidnapping and terrorists. there's a massively unlikely plot twist that you have to negotiate your way around and then a very long slide to the inevitable finale. it was fundamentally a reasonable story but overly long and a little bit creepy in it's gun fetishism. are like heroin for me. I have an addiction. I am unable to stop buying books. The bookshelves of my study cannot hold anymore yet I still bought another 5 today. There are books piled on the floor, on each other, on the chairs, on the speaker cabinets, everywhere. i need to fight this addiction but truthhfully I don't really want to. Just being around books brings me pleasure. Reading them even more so. i do need to clear some room though. i think eBay might be getting well used over the next few weeks. After discovering a problem with the run of the new Heart of Palm album 'Psychopomp' and having to scrap them all. The replacements are all made and ready to go. i really love the noises these guys make.